In the beginning, he worried it would be a lot of work. But Craig and his partner Emma felt they couldn’t ignore the environmental impact of disposable nappies; and they were also certain they didn't want all the extra household waste, so they continued looking into cloth. After lots of research, they arrived at TotsBots loving the idea of the PeeNut cloth nappy system. It was a good fit for them as living in Scotland they needed fast drying but they also wanted natural fabrics for Ollie’s skin, and the soft bamboo pad and wrap system appealed to them the most. It has paid off too as Craig has been amazed that Ollie has had no nappy rash at all. We find this is the case with a lot of cloth bummed babies as chemicals and plastics in disposables can irritate delicate skin. It’s not surprising to us though, all our nappies are free from harsh chemicals and we have an Oekotex certificate to prove it. Check out this article in the guardian for more detail on exactly what you can find in some high street brands of disposable nappies. Cloth nappies are great for poo containment but hearing stories from you confirming this is always great. We asked what their worst nappy moment was, it started with ‘when Ollie was wearing a disposable nappy’ and this made us smile. Craig and Emma were going away for a couple of days where they didn’t have access to a washing machine so decided to use disposables. As they were about to board a ferry the unspeakable happened; an up the back number which required an emergency change in the back of the car. It was reassuring to hear they have never had that sort of experience with cloth though. Craig always thought cloth was going to be a bit of a faff when in fact he said he handles less poo than he did with disposables. Towards the end of the session, we asked Craig for his advice for dads who are still unsure about switching to cloth nappies. 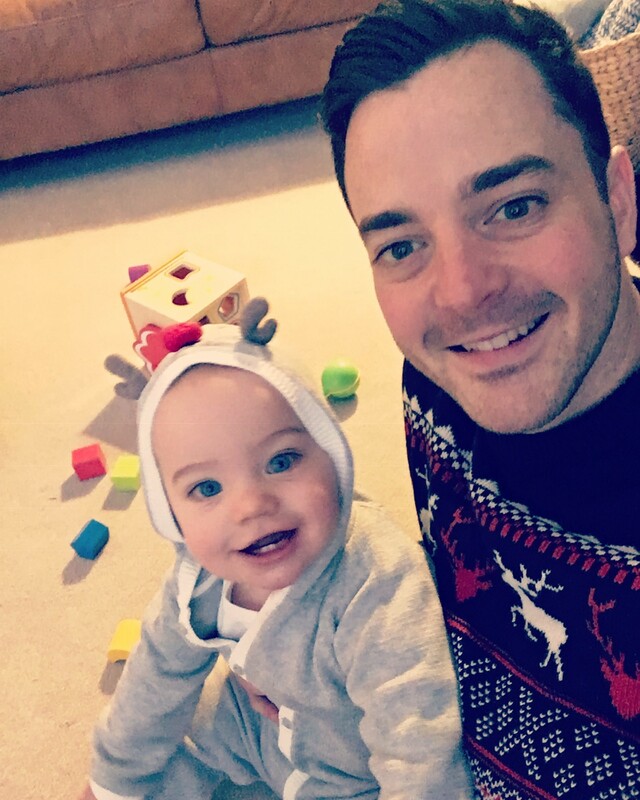 If Craig has persuaded you to join the cloth nappies revolution then come over to our shop and pick up a TotsBots trial kit and give cloth a go yourself, maybe you could be the next face of our real dads feature. TotsBots Mum Karen on Reusable Nappies.